At a campout with 11 year old scouts, I ate 3 burgers and 2 hot dogs with nothing but cheese and ketchup... right before a 4 mile run. Last month I surpassed 100 miles in one month for the first time. This month I passed 100 miles in the first half of the month! As of today I'm at 126.8 miles... AND I still have a 50k to run on Saturday, along with whatever else I do before the end of the month. Looks like it will be a good month! Then next month is my first 50 miler! Crazy! I also got a bunch of new shoes after wrecking some of my others... I guess for now I'm sticking with Altras because I got a great deal! Yeah... I've got lots of Altras now! I've been enjoying the mountains - and I even went Premium on Strava because of one new feature. 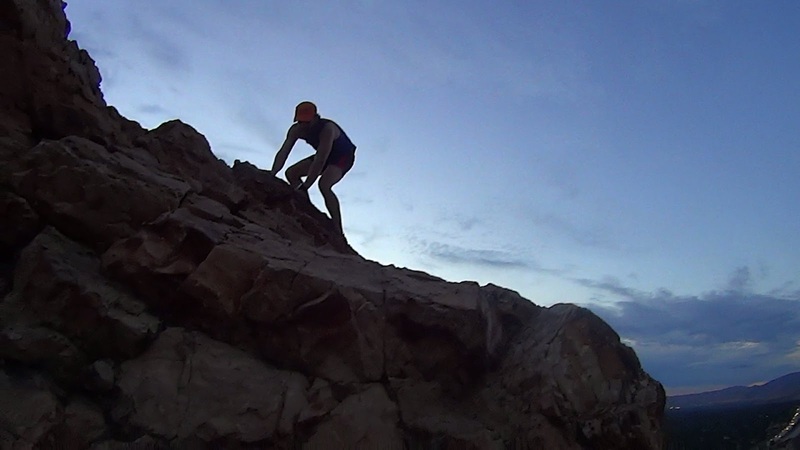 One thing the past few weeks has made me is peak-hungry and antsy if I don't get out on the trails! Slowing down a bit like this week until Saturday is hard too! 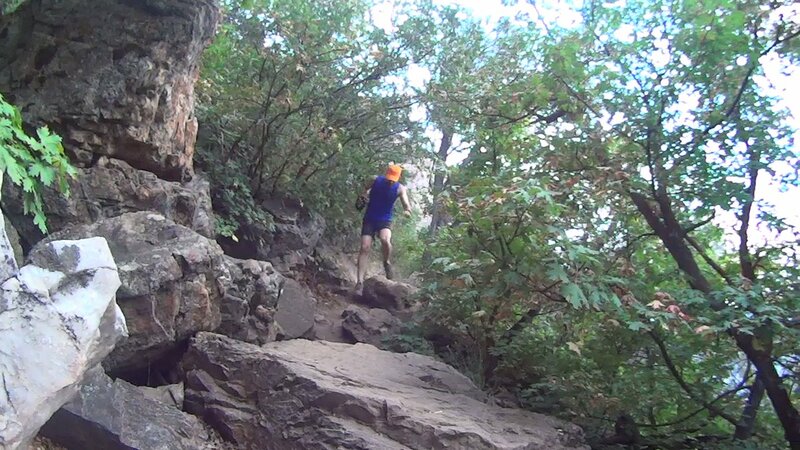 Here are some pics from my various runs since the Wasatch. New shoes - Altra's The One - Bright Green! Ah the Beard. It is powerful. Or something. It has been a good beginning to Fall. I wish it would stay lighter and warmer longer... but I'm just going to have to get into winter mode and bust through it and work hard! In my post about Olympus I mentioned the Trialandultrarunning.com article I helped out on. It is definitely an awesome article introducing new people to trails. I had a lot of fun. I do wish I'd gotten Mark's actual fall in the video, but it's funny to see him pick up his sunglasses too. I'm a bit slow in getting this posted - it has been BUSY! It's just gonna get busier too! And of the many people I run with, I think 85% of them were signed up to run in this race, and then another 10% were at least pacing part of it! I was in that last group. A Pacer. Definitely not in the "I'm crazy enough to run 100 miles!" On many of our morning runs Steve N kept saying "Man! We gotta get Aaron pacing somebody!" I wasn't against that at all and I was certainly available, but nobody had asked me. Finally my friend Ryan said "I wasn't planning on a pacer but if you wanted to pace me from Big Mountain to Lamb's I'm always down with company!" So I said OK. I'll do it. A couple of days later, not too long before the race a guy on one of my facebook running groups mentioned he was looking for a pacer for the same section in a way that made me think he was really needing one. Since Ryan's invitation was more of a 'I'd be happy to hang out' kind of thing in my mind, I messaged Ryan to see what he thought. Having run with Ryan a lot I would have liked to pace him if he needed me, but in my head I didn't think he needed me to pace him there. He said go ahead and so I told Steve that I'd be happy to pace him. Fast forward to the night before the race at my brothers now-annual pre-Wasatch Barbecue and I started to feel like I actually had ditched Ryan as a pacer. He's a very strong runner but the Wasatch is a beast of a race. So I asked Ryan if he wanted me to pace him from Brighton to the finish line - 25 miles of possibly the hardest section of ANY course, and he said yes. Friday morning I had the day off - so I tracked the race like a hawk and was quite worried that I'd be late to pace Stephen or I would collapse or some other silly thing. Coordinated with Matt to get up to Big Mountain where the first pacers start and then I'd bring his car back from Lamb's Canyon where he was starting his almost 50 mile pacing adventure with Craig (here is Craig's report). We drove up there and it was awesome to see friends and families and awesome volunteers dressed as Vikings cheering all the runners as they came to mile 39... and wow was it HOT. Many people say the section from Big Mountain to Alexander Springs and then Lamb's Canyon is one of the worst sections not for course difficulty (it's a pretty nice trail actually!) but because of heat and sun exposure. This year started out as one of the hottest races on record AND it was a lot more humid than we are used to in Utah. Stephen came in, weighed in, grabbed water and ice and we headed out. It was definitely hot and humid! I wish I could have just jump right into that lake! We started passing quite a few people along this section... it was hot and dusty and both dry and humid at the same time. People were already looking wrecked, and we weren't quite halfway! We finally made it to the aid station and from the dark recesses of some tents I heard my name yelled. It was Craig, and he wasn't doing so well. Jennilyn was pacing him and she said "Aaron make him laugh!" which immediately made everything funny in my brain turn off ... not that there is comedy gold to be found in there usually. The response to "Now turn that off and do something funny" was going into a fairly awesome Mayurasana... I wonder if somebody somewhere got a picture of, as if I don't already have enough pictures of that pose! I felt bad I couldn't do more, but as you can see in his race report - he overcame and finished strong considering this years difficulties! I had my own duties as pacer, so we got what we needed and headed out. This section was pretty bad... probably worse than the hard hot earlier course - because you start on some rolling hills on a jeep track through a dry field, and continue on that as it climbs steadily UP over 800 feet in about 2 miles. So not horrible, just slow hot and arduous! So basically after 45 miles for the runners, it WAS horrible! One thing about this last section before the Lamb's Canyon aid station... you think you are closer than you are a LOT! You are above it, then past it, then above it again, then BELOW it, and you finally run up a hill to get to the aid station right next to the freeway up Parley's canyon. I kept seeing people I knew or people who were waiting for runners I knew, so in those couple of seconds saying hi, my runner dropped me! After 13 miles I couldn't catch back up to him just on that last little climb to the aid station. I was happy he was doing so well. Upon entering the aid station, it was great to see so many people in action volunteering. My pacing was over and I had run 13.3 miles on a rough day. I was tired! I was a bit worried about my ability to go another 25 miles with Ryan later on... but figured I would rest what I could and try to get him to the finish. Other friends came in and got taken care of, it was great to see so much strength, support, awesomeness, and even suffering! I found out that Ryan was struggling pretty hard with allergies and overall nastiness... this race wasn't going as well as hoped for MANY people. I felt bad that I had switched pacing duties on him... I think I was useful to Steve as he ran strongly through this section, but I wondered if I could have been more useful to Ryan at this point. 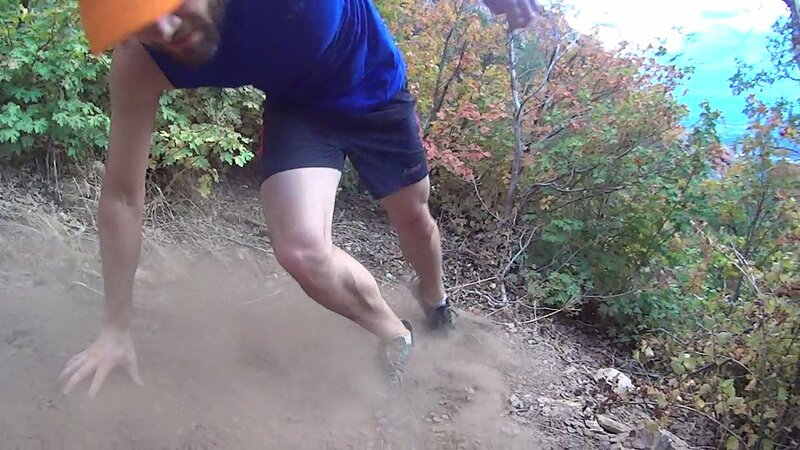 He ended up arriving and DNFing (Did Not Finish, or dropping) at Lamb's canyon (Mile 52) a few hours after I left due to allergies and other health issues. I also saw the Joker on the way back to my brother's house with his van. Yay, SLC Comicon! Stephen too ended up dropping at Brighton (Mile 75) due to major dehydration, vomiting, and diarrhea. Yikes! 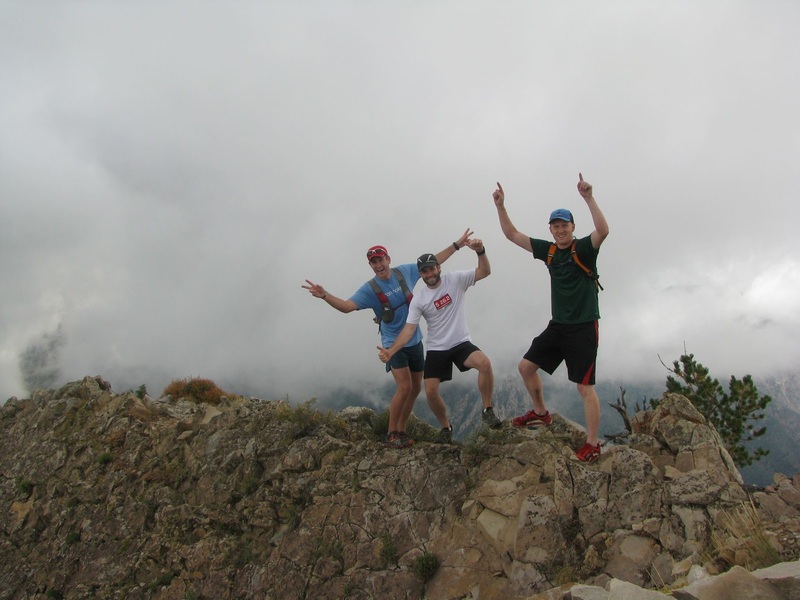 It was a rough day to do Wasatch, over 30% of the people who started were unable to finish the race! Surprisingly not the highest DNF percentage in the history of the Wasatch100, but definitely the highest number of people; 107 of the 331 people that started! I wished I had been able to help more, and I wished I'd been able to see if I really could have run 25 miles more! I even had to run 10 miles because I felt like I needed more! 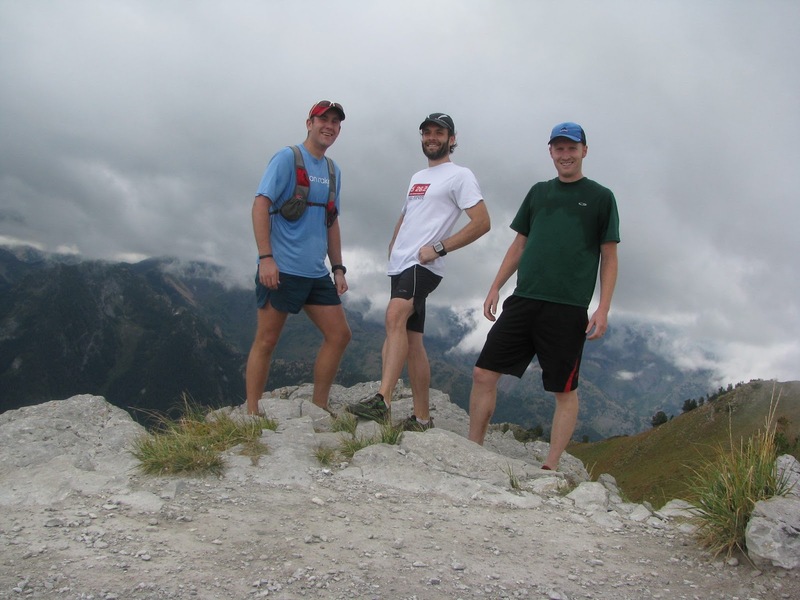 While I still do not have plans to run a 100 mile race... seeing the Wasatch 100 definitely made me want to keep participating in this Ultra-Running thing. It has also increased my mileage. August was the first time I'd gotten over 100 miles in a month. I've already surpassed that in September (more on that in the next post). The Pony Express 50 mile race was the only race I had planned for the rest of the year... But then I signed up for another 50k about 10 miles North of the PE50 route, NEXT SATURDAY! A 50k? Yeah, add 30 miles 3 weeks before my 50 mile race? Pssh. That's nothing. Wait, what?! What's wrong with me!? Kakes is joining the fun and is doing the 30k! She's amazing! 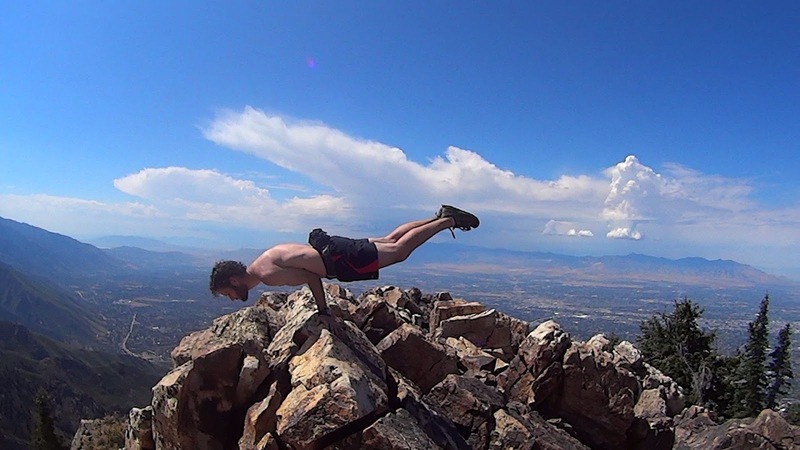 I go on one little trip up to the top of Timpanogos, and suddenly I've gone crazy! Just a few days later I ran to Elephant Rock and back on the Mueller Park trail - getting a PR for time to the rock AND not doing too bad (2nd fastest time) on the way down. The very next morning we went out and hit the Bonneville Shoreline trail and Adam's Canyon up to the waterfall for another 7 miles. I had decided that after Timpanogos, I should take my wife up Olympus. For some reason in my head I keep thinking Olympus as a "Tough Hike, but generally pretty easy because it's only like 7 miles" and that after we conquered Olympus we could move on to some other peaks like Pfiefferhorn and more! Aw how fickle and faint memory chooses to be sometimes. Olympus is HARD. It is steep, it is exposed for a lot of it, and it just happened to be a very hot and muggy day! On Timp I had taken the same amount of water as I took up Oly, and had over 85% left. So I figured it would be sufficient for both my wife and I. Bad idea. We made it to the top in a decent time, but we had sucked down all of the water we had. Luckily our buddy Mark was with us, and he was testing out a new large capacity Camelback for the awesome Trailandultrarunning.com and had a bunch of water so we could refill. We then drank all THAT water while enjoying views from the top. Doh! We had a little bit left, and figured that since we are both decent down-hill runners, we would be all right with that tiny amount of water. I started down from the saddle at a decent pace, then slowed to make sure I didn't leave my better half behind! My legs started shaking and the next 3 miles were HORRIBLE. I felt drained and tired and in pain... but I didn't feel like I had pushed too hard before then. Not enough food and water on a hot and muggy day had taken its toll! Uggh. We did make it down - and it was a great trip up to the peak - but wow. We were beaten by the mountain for sure! I did take my Action Cam - and made a video of the run to commemorate the experience! Since Saturday was the last day of August - the Olympus run put me at 105.5 miles for the month! I've never been over 100 miles in a month, in fact before August, 84.5 was the most I'd ever reached, so that is a LOT of miles! Unfortunately I think it's the beginning of an epidemic! Monday morning was Labor day. My brother asked if I wanted to run something - and I said that yes, I did. You'd think I'd be beat after being so badly beaten by Olympus a day and a half before... but I actually felt really good! So I asked if we could do something I hadn't done, Raymond and Gobbler's Knob in between Millcreek and Big Cottonwood Canyons. I had been up to the saddle that is between these two 10k+ peaks during the Millcreek 50k 40k and wanted to make it up to more peaks. Yeah - I definitely have a bit of a fever for peaks and mountains right now! We hit both of them, with our friend Sam catching up to us at the top of Raymond. Fast climb!! 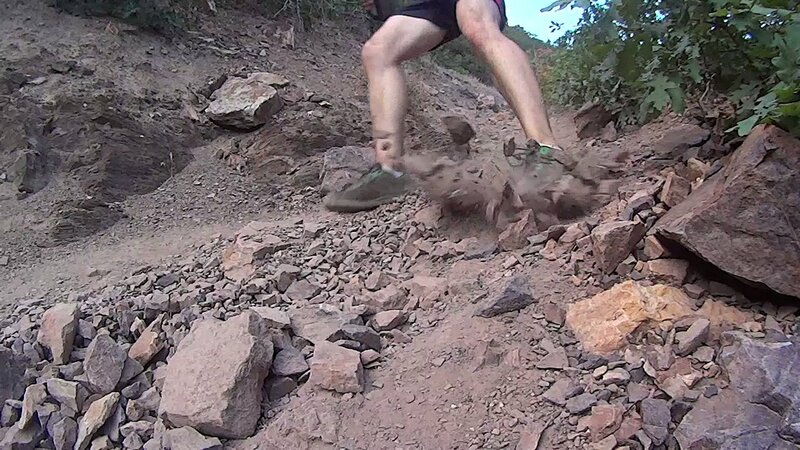 And Wednesday evening I went to Olympus AGAIN to do some pictures of rocky terrain with Mark for Trailandultrarunning.com! There will be more pictures of the results of those photos after the article is posted on TAUR! Oh and that nice Orange hat, is a Trail and Ultra hat with #ultrachat on it - because every Sunday night they have a chat about ultra running. I need to up my Twitter game so I can take part! It's a nice headsweats hat! Next up I'll talk about the WASATCH 100 that was this past weekend. I had the honor to pace, support, and train with a whole bunch of participants, and it was definitely inspiring and has made my peak bagging and running epidemic even worse!